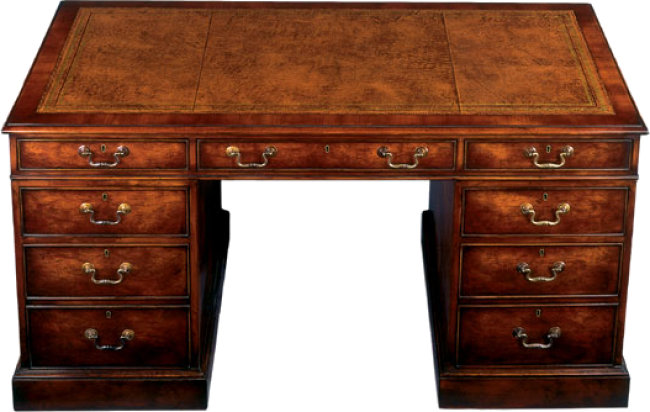 Double pedestal desk with leather top. Desk consists of center drawer, four box drawers and two letter/legal file drawers. File drawers are on Accu-Ride suspension. Also available with wood top. Available only in the following finishes: Medium Brown Mahognay, Medium Burl Walnut, Medium Yewwood. Pictured in Yewwood.